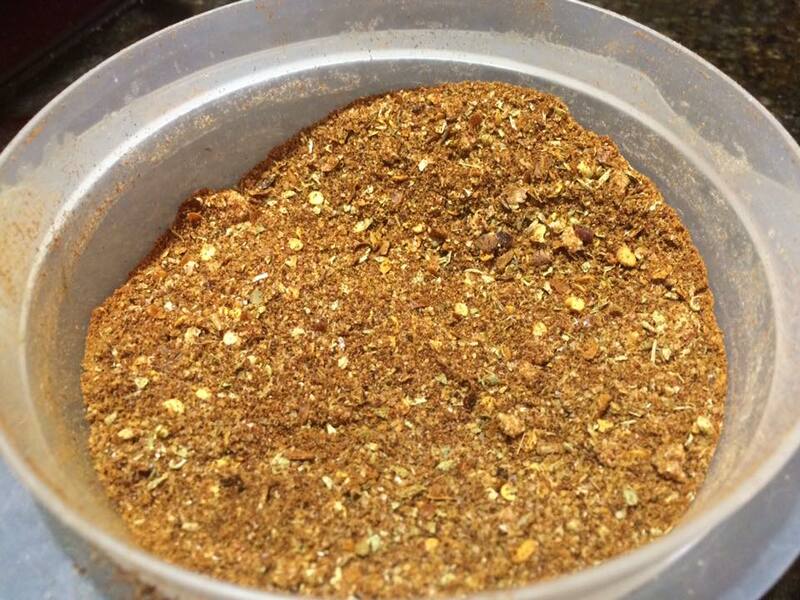 You can pick up a packet of taco seasoning in the grocery store and have yourself a pot of this stuff ready to go in minutes. OR you can make your own – and season it according to your taste. This can be stored in a cool place for several months. You can always keep it in the freezer for longer storage. Homemade is always better. 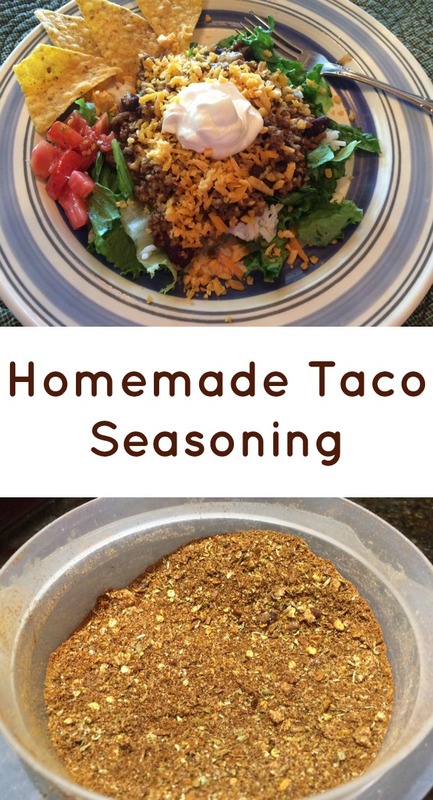 For a little bit of your time and using seasonings you already have in your kitchen, you can quadruple this recipe – or more – and have plenty on hand when you’re ready to make tacos or taco salad. This recipe is good for one pound of hamburger. But if you like more spice, you can always double it for your pound of hamburger. Mix the seasoning together and add it – with 1/2 cup water – to your hamburger that has been browned and drained. If you fry your hamburger ahead of time and store it in the freezer, this can be an easy, quick meal. Take your hamburger out of the freezer, mix your water, seasoning, and beans, then simmer while you wash and cut the lettuce, shred cheese, chop tomatoes and prepare other toppings. By the time your other preparation is complete, the taco mixture will be ready to serve. An easy recipe that can be doubled or quadrupled for a large crowd. 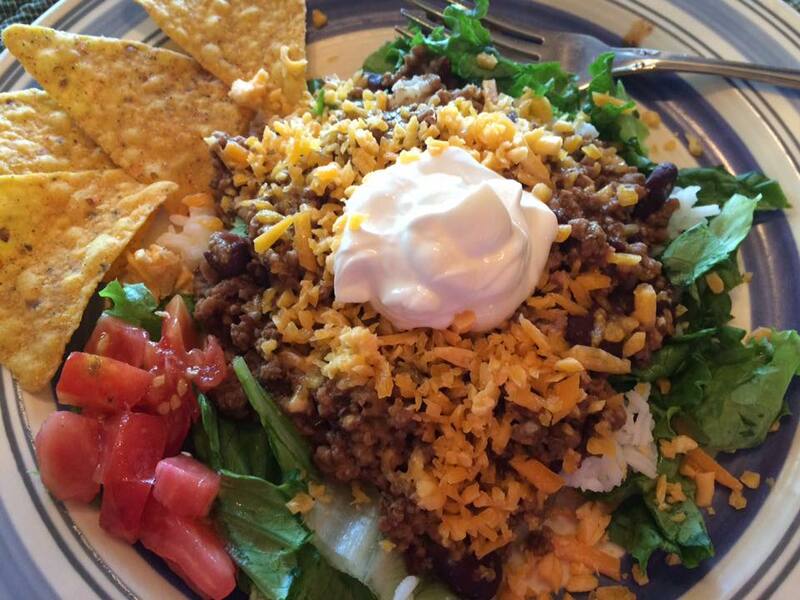 Easy to mix and store, and a quick fix for your taco meal. Store in a cool place for 6 months, or store in the freezer. Simmer for 10 minutes or longer, stirring occasionally.